After an enthralling start to the knock out competition yesterday, the Knockout is set to continue with four exciting fixtures lined up for today and tomorrow at the Takitumu School grounds. Titikaveka will play Matavera in the Under 14 boys division, while Puaikura and the Avatiu senior womens teams match skills at 5:00pm today to determine who goes through to the semi finals. Following the U-14 girls match up between Matavera and Tupapa Maraerenga on Friday afternoon, Takuvaine is set for their premier men’s showdown against Matavera. Matavera will face a tough challenge and will need to be prepared for a difficult encounter. 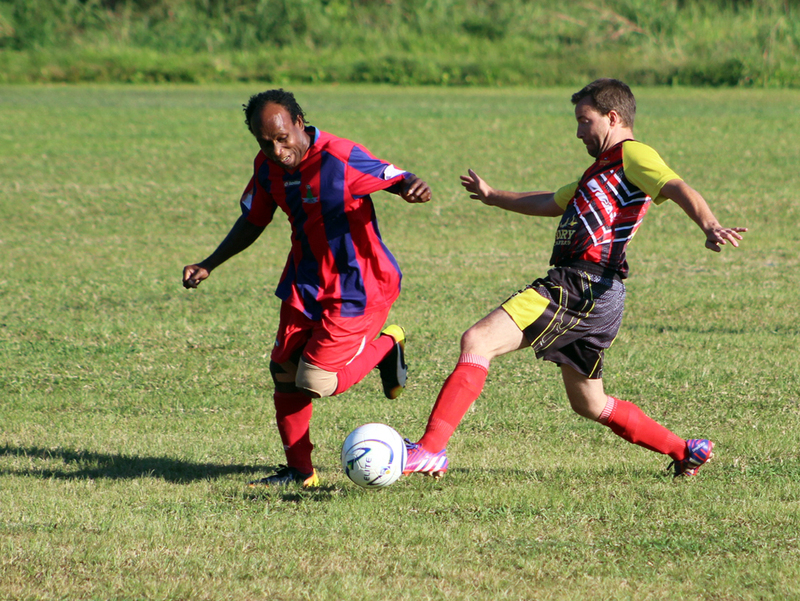 Takuvaine and Matavera have both shown that they are capable of taking stern competition in the premier men’s division. They are now featured in what promises to provide nothing less than a fierce contest and terrific entertainment. This match will follow the juniors’ encounter scheduled to kick off at 4:00pm.